PERFORMED RIGHT AT YOUR VENUE. YOUR GUESTS WILL HAVE AN UNFORGETTABLE TIME. FOR MY ADULT SHOWS I ALWAYS PERFORM SOME FAMOUS ILLUSIONS. FROM DAVID COPPERFIELD,CRISS ANGEL MIND FREAK AND DAVID BLANE ! RANKED #1 WITH 10 YEARS EXPERIENCE! Magic by David puts on an exciting show created for an adult audience. David’s presentation of profound and unbelievable magic is in a fast-paced, fun format of wholesome adult comedy magic. This one of a kind performance will make the audience the stars of the show. David utilizes the audience throughout the performance for astounding Magic demonstrations. Predict lottery numbers, foresee the future, read people’s minds, see unbelievable illusions and more. Experience Magic by David and you will believe. 919-266-1682 TO BOOK YOUR PARTY OR FOR MORE INFORMATION. Whatever the event this entertainment takes up a very small amount of space and you will find it is right for any location. Â Having your party at home (indoors or out), hall or restaurant? No problem! This type of entertainment is ideal no matter the size of the venue or the amount of people attending. Magic by David will leave a long-lasting impression on your guests with a show that offers hilarious comedy and amazing magic routines. This fast-paced and original performance will have your guest’s laughing and gasping in amazement. Â Have your camera ready for memorable moments that will surely be added to your photo album. 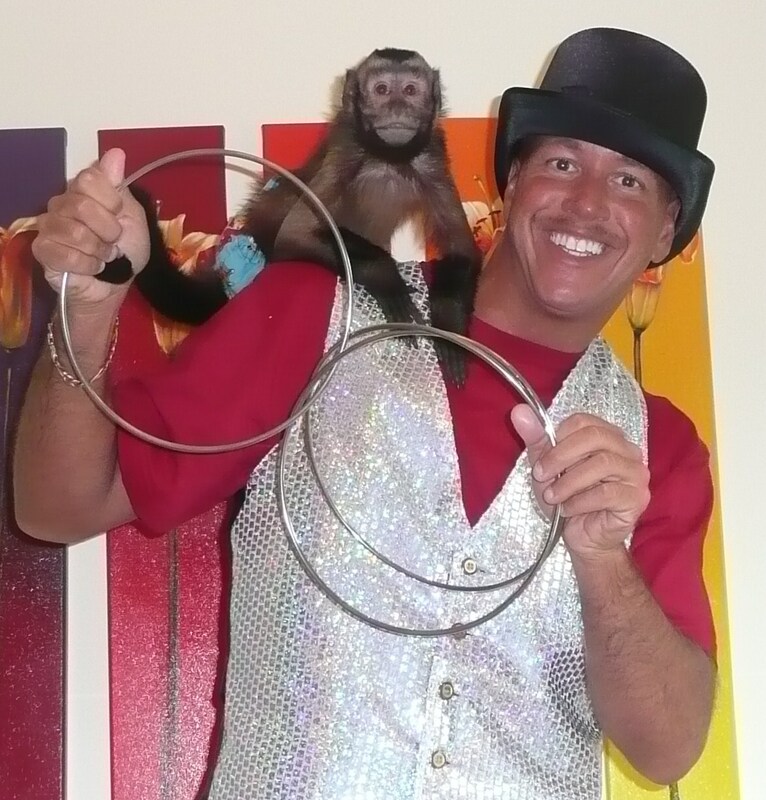 This can include all of David’s live Animals – a parrot, bunny and MONKEY!! The routines are interwoven with comedy and incredible feats of magic. This performance is combined with close-up interactive walk-around entertainment and includes a well-balanced mixture of enchanting magic and amazing demonstrations of mind reading. All routines are filled with audience participation, humor and fun.